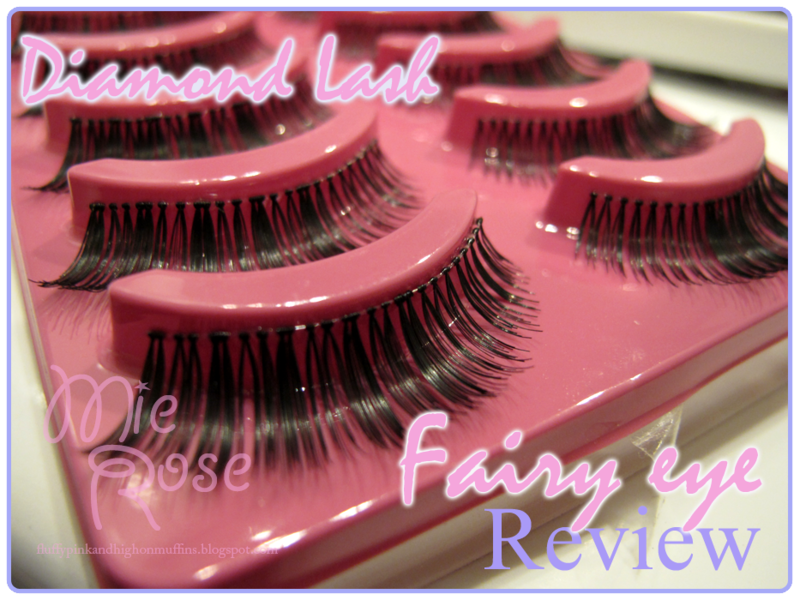 Mie Rose: Diamond Lash Fairy Eye review! The not so long awaited review! They looked VERY square and thick to me (not at all like the promo pic), and out of the two pairs I got from my father, I was the least excited about these... But I decided to give them a chance, remembering how much I loved my previous Diamond Lash Gorgeous Eye pair, and boy I am glad I did! 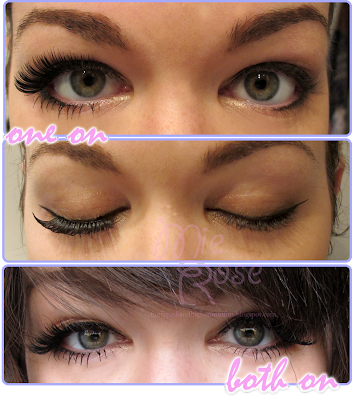 As expected of clear band lashes they where easy to apply and they are very light when you have them on. 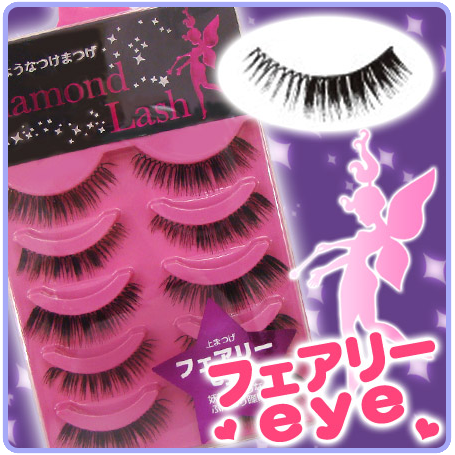 I would warmly recommend the clear band lashes from Diamond Lash to people who are not used to wearing fake lashes. Out of all the lashes I have worn through my time, Diamond Lash has always been quite easy to apply. I was really pleasantly surprised by these lashes! 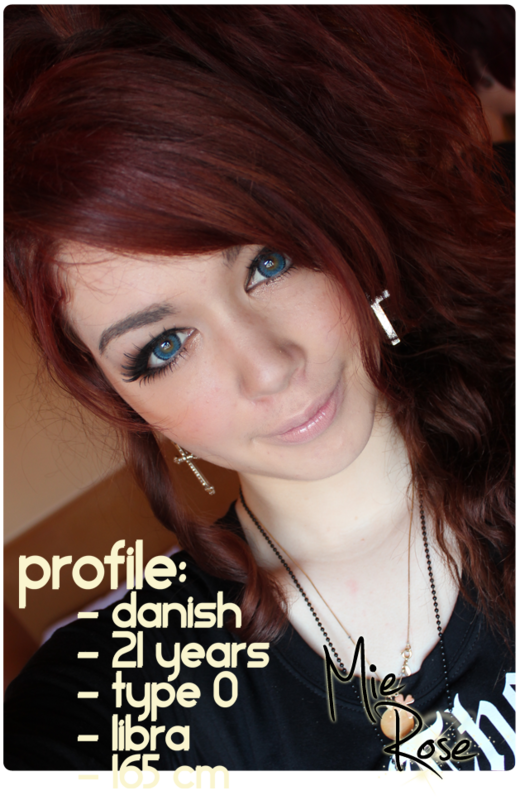 The style (on my eye at least) looks really good and they are light and easy to wear. Maybe a little too thick, but I guess that is a matter of taste and habit. I am sure I will end up using these a lot! The next review will be up next week, and will be about the Eyemazing no 2 lashes! I never would have guessed that they would look SO good when worn! Very useful c: Thanks a lot for the review!